Are you looking for ways to keep your adult learners engaged during your eLearning course? In this article, I'll share 10 adult learning facts and stats that every eLearning professional should know. In order to create meaningful eLearning experiences, you have to know how to approach your adult audience from an Instructional Design standpoint. How do you they assimilate knowledge? What are their key motivators? 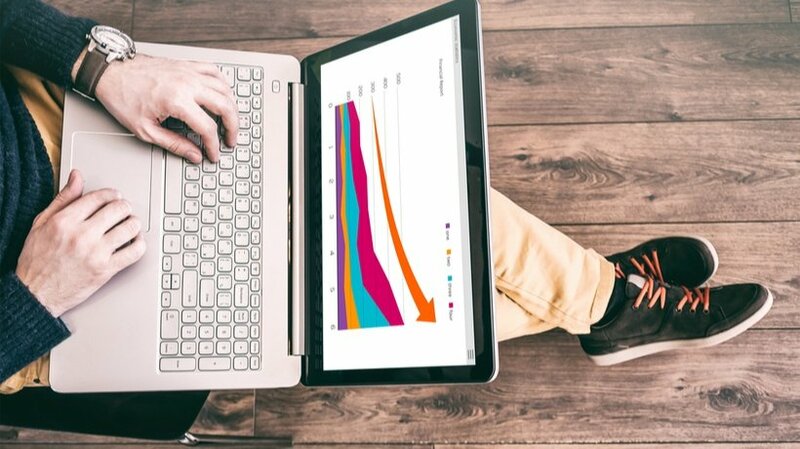 How can you create the most effective eLearning environment based on their needs? Here are 10 adult learning principles that are backed by adult learning facts and stats. 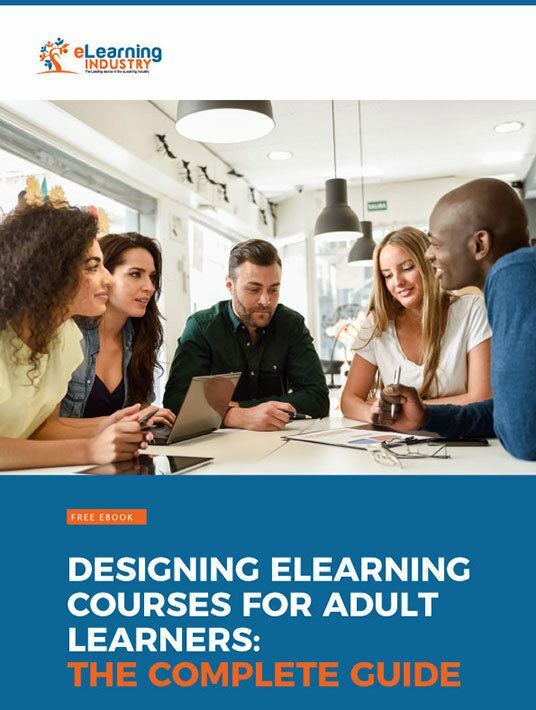 This Free eBook can help you design engaging and inspiring eLearning courses for adult learners. When you create an eLearning course, you do not only incorporate theory. Even though theories and models are essential to provide your adult learners with valuable information, incorporating some of your own life experiences makes the eLearning experience more powerful. So, if you are currently creating online training material for your eLearning course, be sure to look for places where you can tap into relatable anecdotes, examples, and stories. Based on a report released by the Center on Education and the Workforce of Georgetown University, 70% of college students work while enrolled . If we add up the number of employees who attend online training programs, we may assume that creating an eLearning course for adult learners also means we must consider the time constraints of our audience. A good eLearning course should minimize instruction provided by the online instructor, but maximize autonomy for the online learner. In this manner, they can study the online training materials when they have room in their schedules. If you are providing an advanced eLearning course, it is likely you will have people with completely different academic and professional backgrounds among your adult learner population. Since you need to deal with such a diverse range of knowledge base, you will need to diversify the online training materials you offer too. Starting with the basics and offering additional online training resources for adult learners who want to explore the topic further would be a good practice. In addition, make sure your adult learners know you are available if they experience any problems with the eLearning content you are providing. To keep self-guided adult learners engaged, provide plenty of social learning opportunities so that they can participate in online discussions and share their thoughts. Based on findings released by Smart Insight, there are now more than 2,789 billion active social media users . Therefore, it is important to incorporate many social media platforms into your eLearning course. For example, create a Facebook group and post relevant links that relate to the subject matter. You should also introduce your adult learners to professional social media platforms such as LinkedIn, and encourage them to start their own eLearning blog or online discussion. Adult learners are dealing with a variety of everyday challenges and stressors, from busy schedules and personal obligations to family emergencies. Identifying those obstacles in your eLearning course could be of tremendous value for your adult learners. Make an overview of possible obstacles that may distract adult learners from their goals. Then figure out ways to minimize their impact on the overall eLearning experience. You can also offer your adult learners online support resources, such as microlearning online training libraries and online discussions where they can catch up to speed. Adult learners tend to focus on practical knowledge that allows them to achieve their goals. However, they must be able to see a direct correlation between the eLearning content and their personal or professional objectives. For this reason, it's wise to break long-term goals into manageable milestones and give adult learners the opportunity to track them via progress bars and checklists. Even though the learning process takes place online for the most part, it is still necessary to give your adult learners experiences in the real world. According to the American Society for Training & Development, the retention rate for experiential knowledge is an impressive 75% . As a result, adult learners need hands-on experience. For example, invite them to watch a video demo and apply what they've learned via an eLearning simulation. Adult learners must be able to put their knowledge into practice and apply their skills in a contextual manner. eLearning activities with real-life applications could include online interviews with professionals via social media, eLearning simulations, branching scenarios, and case studies. To ensure your eLearning activities will provide value to prospective adult learners, it's wise to put your ideas in front of a focus group, or use a poll. Based on the response of the focus group, you can make sure that your eLearning activities are geared toward your target audience. Even if there is a tremendous amount of information to cover, it is important to give your adult learners enough time to process the information you provide. During this time, you could provide them with assignments and applications to help them process the information. It's also important to encourage your adult learners to reflect on the subject matter and see how it relates to real-world challenges or situations. This makes the eLearning experience more relevant and relatable. When there is a lot of information to cover, it is often very tempting to provide long online lessons. Unfortunately, there is proof that adult learners can only focus their attention for about 20 minutes . Therefore, it is necessary to proceed to content chunking of the online training material with regular breaks, so as to ensure your adult learners can assimilate the information presented. These principles can help you provide truly effective eLearning courses to your adult learners. Adult learners are looking for practical eLearning that gives them the tools they need to succeed without making them rearrange their busy schedules or put their personal obligations on the back burner. Interested in learning more about how to create eLearning courses for adult learners? Download our free eBook Designing eLearning Courses For Adult Learners: The Complete Guide to learn about the characteristics of adult learners, what motivates them, as well as the most appropriate Instructional Design models and Theories eLearning professionals can employ to design effective eLearning courses for this particular audience.